A young group of friends stumble across a terrifying conspiracy that holds the heir to the Blackstaff, the defender of the city of Waterdeep, in terrible danger. These friends must search deep within themselves to become the heroes their city needs to save its champion from those who would see both brought low. 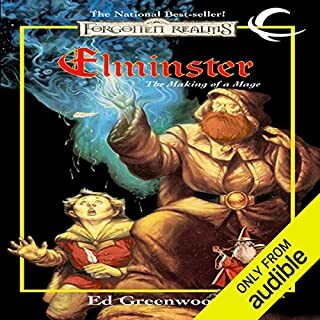 Ed Greenwood, beloved author and creator of the Forgotten Realms, presents the first book in a brand-new series dedicated to showcasing both the City of Splendors and our most talented up-and-coming authors. The story keeps your attention. Rejected at birth and raised in a village of tiefling misfits, Farideh expects a life without friends, love, or control over her destiny. Then she makes a pact with a devil named Lorcan, and everything changes. Lorcan promises all she ever dreamed of and asks for nothing in return. Her twin sister, Havilar, urges Farideh to resist the devil’s sway. But Farideh’s not so sure. Lorcan may be dangerous but the power he offers is exhilarating. 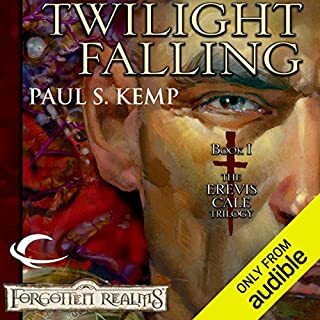 ©2011 Wizards of the Coast, Inc. (P)2012 Audible, Inc. Very entertaining story focusing on Warlocks who get their powers from Devils and the inner workings of the Forgotten Realms' Hells. Reader does well to have separate modes of speech for each character and stays consistent. However, it is hard to realize when there is a shift of perspective. Most jarring when it occurs mid-chapter especially when focusing on the devils. My only issue with the story are a couple of moments when characters meet in contrived ways that seem impossible. The city that is in the story is relatively the size of New York yet three main characters bump into each other very easily with no one seeking the others out. Overall a 5 because it's a good listen. 4's because of a few moments that took me out of the story. Amazing story, and I am so glad it was pointed to in the D&D 5e player's handbook in the entry for Tieflings. Provides some amazing insight into the nature of tieflings and warlocks. The narration was excellent. 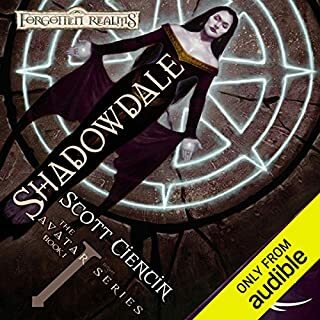 I was slightly disappointed with the voice for Asmodeus in the epilogue, as I would have expected a deep menacing almost omnipotent threat, but such a voice would be difficult to achieve without heavy audio effects, which obviously was not the style of this simple narrated recording. The voices through the rest of the book were great. Wonderfully surprised by the complexity and depth from this book. I thoroughly enjoyed it and can't wait for the next one! Great example of well rounded characters. If you could sum up Brimstone Angels in three words, what would they be? 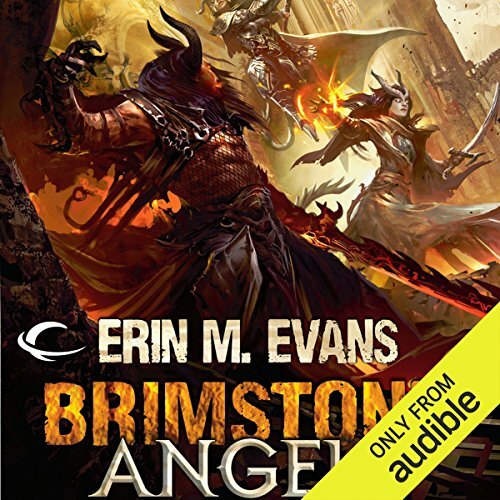 "Brimstone Angels" came as a pleasant surprise. 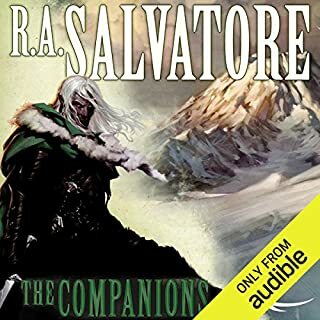 The fantastic fantasy adventure from a novel based on the dungeons & dragons games is expected, but not one with so many characters a reader can relate to. 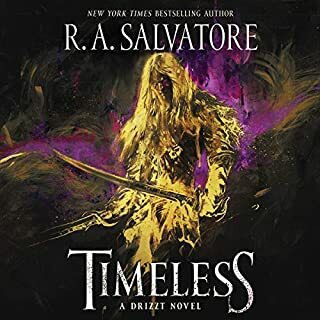 Each and every character was well thought out and so well rounded with their own strengths and personal insecurities that the story became something much more than an outlet for fans of the setting and source material. Farideh, her sister, her adoptive father, her new friend and even her controlling bad influence Lorcan could share character traits with people you meet at school, work or in the streets. If you had ever had a sibling, Havilar, Farideh's sister, polar opposite and personality fence, has to be the most entertaining character to follow. Every time Havilar and Farideh enter a situation together the bickering and jokes come forth in such a naturally silly sisterly way that an audience will be hard pressed not to smile. What about Dina Pearlman’s performance did you like? Her performance was great. She nailed the whole silly bickering of the teenage twins routine with such flair that I laughed out loud a couple of times. I love the fact that this book seemed humorously stuck on family dynamics. Everything in this book remind me of a terribly funny family reunion. It's not just Farideh, her sister and her adoptive father. Brin has a funny awkward family issue. Even the villains, Lorcan, his mother and sisters, all the way down to the overlords of hell are humorously jabbing each other in their own dark way when they are related. I highly recommend this book, regardless of the source material, because it's a great character study. There is an odd jumping around in the writing towards the end as the plot gets fast paced, but I was able to follow it fine and was totally worth it because the plot and characters were just that great. Erin M. Evans writes endearing characters and Pearlman brings them to life. The series was enjoyable. great story, great characters. need more realms! loved this story. fast moving, and exciting. twists and turns. loveable characters and plot is unique and fun. this is a great novel for all aged readers. I only wish Hasbro and Wizards of the Coast would allow for the creation of more stories in the forgotten realms. love this world and need more stories! !! I've been buying the novels since early TSR days and with authors like ms Evans WOTC, should be doubling down on fiction!! At this point there are six books. I can only assume this “coming of age” novel will lead to better things. The characters are initially annoying and childish, but that’s mildly forgivable given the outset of the novel. The draconic swearing is downright obnoxious- but I don’t feel like cursing adds much to many novels. It really is a book about shut-in outcast teens and an overprotective father, but the characters end up being interesting in the latter part of the novel. Perhaps the best part is the intrigue and the characters being much less annoying towards the end. I bought the next one- fingers crossed. A great tale, kinda wrecked by the narration. This is a strong story, with excellent characters, and I look forward to reading the other books. 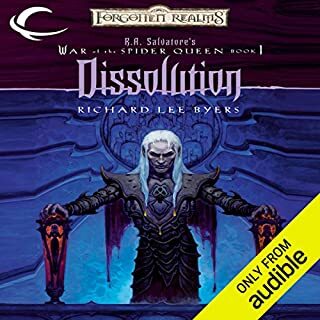 Unfortunately, the narrator really spoils most aspects of this version, most especially in the character and tone of the dialogue which misrepresents the main characters completely. Frustrating!